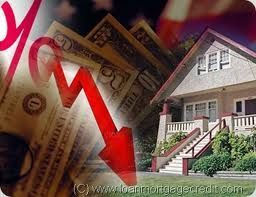 The market share of purchase mortgages that closed in October reached its lowest level since August 2011. Only 31 percent of all mortgages that closed last month were used to purchase a house versus 69 percent to refinance, according to the latest origination report from Ellie Mae released today. The FHA loan market share also reached the lowest level since Ellis Mae began issuing the report 15 months ago. Only about 19 percent of all mortgages closed in the month were FHA loans and 74 percent were conventional. The decline in FHA market share, which was 24 percent a year ago, comes as FHA announced it will raise its annual premium an average cost of about $13 per month per borrower next year in order to reduce a $16.3 billion net worth deficit uncovered in the agency’s annual audit. The closing rate for all loans jumped four points in October, rising to 54.5 percent of all applications, the highest closing rate in a year. The closing rate for refinancing was 51.3 percent and for purchase loans rose to 61.2 percent, slightly higher than the September rate and a sign that borrowers are in better shape with credit, down payments and documentation. Average FICO scores, loan-to-value ratios and debt-to-income ratios for all types of loans didn’t vary much from September, suggesting that lenders are not loosening standards. Average time to close increased from 50 to 54 days from September for October for all loans. All of the increase came from refinancings, which increased from 53 to 57 days. The Ellie Mae Origination Insight Report provides monthly data and insights from a robust sampling of closed loan applications that flow through Ellie Mae’s mortgage management software and Ellie Mae Network™. In 2011, the total volume of mortgages that ran through Ellie Mae’s Encompass360 mortgage management software was approximately two million loan applications, or 20 percent of all U.S. mortgage originations.